The Veraseal® 2 disposable full face mask brings AIR°gel® technology to the acute care environment for a giant step forward in patient comfort. 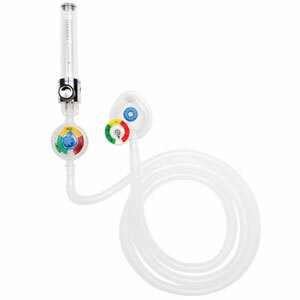 Three color coded elbow designs make choosing the right mask for CPAP, single, or dual limb circuit NIV systems simple. 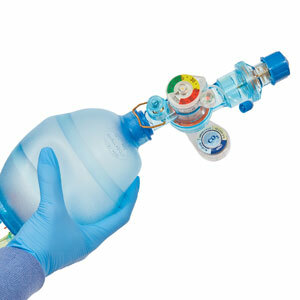 The Veraseal® 2 fits quickly and easily while enhancing patient comfort. 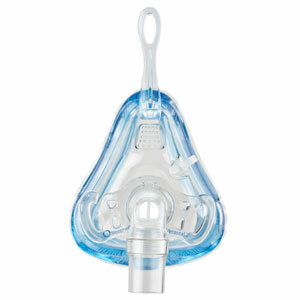 Both vented (with leak ports) and non-vented (without leak ports) versions are available for CPAP, BiPAP, and ventilator therapy. Interested in ordering or have a question about a product on this page? Complete the form at the bottom of the page and one of our friendly team members will be glad to help. Questions about a product on this page or want to order? ©2019 Mercury Medical. All rights reserved.